Annie, the story of everyone's favorite plucky, red-haired orphan, finally makes the leap from DVD to Blu-ray! One day Annie (Aileen Quinn) is chosen to stay for a week with the famous billionaire "Daddy" Warbucks (Albert Finney). 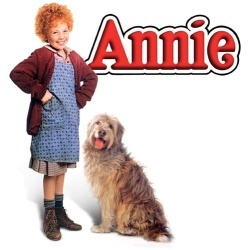 One week turns into many, and the only person standing in the way of Annie's fun is Miss Hannigan, the tyrannical ruler of the orphanage (played to hilarious perfection by Carol Burnett). Will Miss Hannigan's zany attempts to kidnap the irrepressible Annie succeed? Sing along to the unforgettable songs and experience the beloved musical like never before!